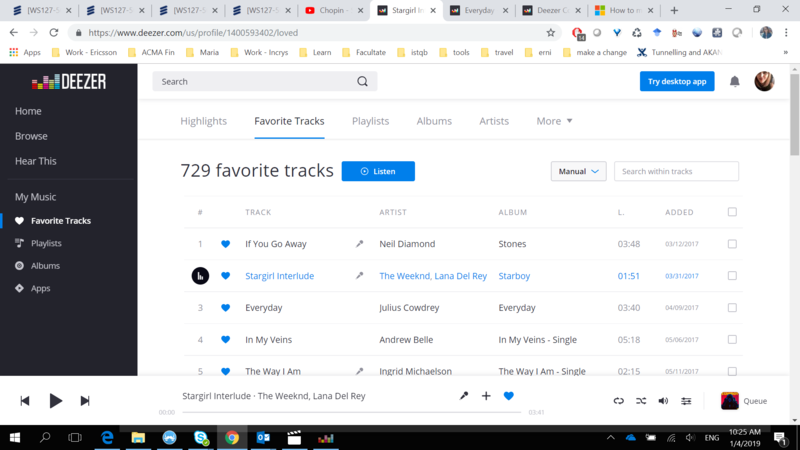 I have some issues accessing my deezer account/ playing music on Windows 10.
but I am requested to find another app, althought Deezer is already installed since that was the starting point for the login. Please let me know if there are any other details needed. Looking forward to hearing from you as there is no way I can actually use my paid subscription, neither from browser nor deezer app. Just updated the app and now it works. Thank you. Got the same issue here. Cannot connect to the app using my facebook account. It redirects to browser, but nothing happens on the app. I have a same problem! Hi @Andre.Savioli @Andris.Usans @Maria Vasile we are aware of the issue. Can you please check if you are logged in in your browser in the webplayer. If you are then please try to log out and in again. Thanks for the return. 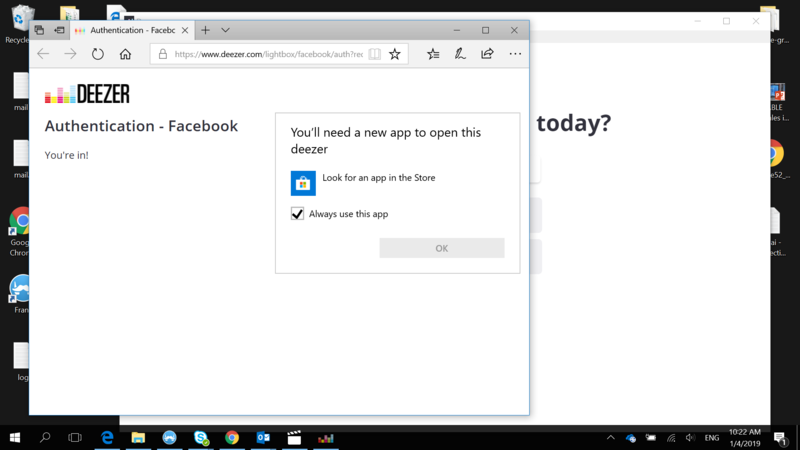 Did that, but I still cannot to the Windows App using my Facebook account, but I can connect and listen to deezer through the webplayer (browser) .with no problems. 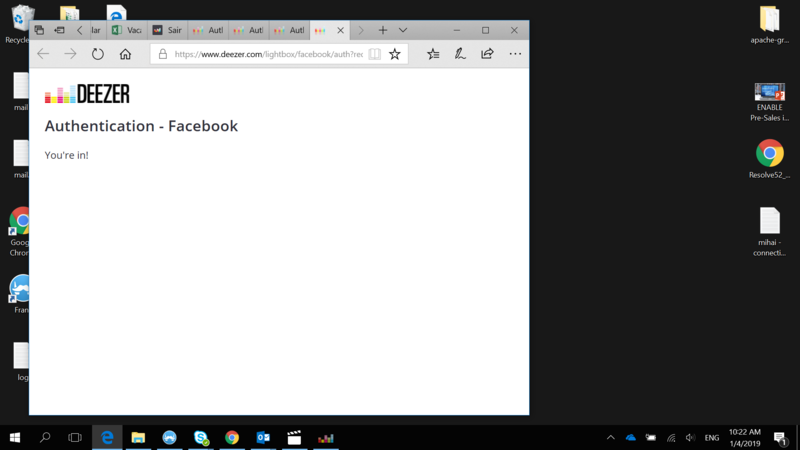 When I open the app and click on "Facebook", It just opens the page bellow on the browser, but nothing happens on the App. I did as recommended but nothing changed. Check this topic and look out for tips. Let me know if you still have problems! Just wanted to use my Windows 10 Deezer app. How long will you take to solve that issue? We've been informed by our devs that this issue is now fixed. Is it still happening with you? Have you updated the app?